London, Aug 27 - On Donald Bradman's 110th birth anniversary, former England captain Ray Illingworth said India have a chance to match the exploits of the Australian cricket great and his team, adding that the ongoing India-England Test series is still on the balance. After winning the first two Tests, England were given a reality check by Virat Kohli and Co. at Trent Bridge where they scripted a massive 203-run victory. With two more matches to go, there are talks of whether this team can ape Bradman's Australia in overturning a 0-2 deficit against England in the Ashes and winning the five-match series 3-2 way back in 1936-37. "Well, India have shown they have come here to fight. They did very well to make a comeback in the series by winning the Test match at Trent Bridge convincingly," Illingworth told Anandabazar Patrika here. "I would say, the series is 50-50 and after the Trent Bridge win, India has a chance to do what no other team could manage to do in many many years after Don Bradman's team in 1936-37. "But I would still say, both teams have equal chances. England have to pick up and improve on their performance at the Trent Bridge. 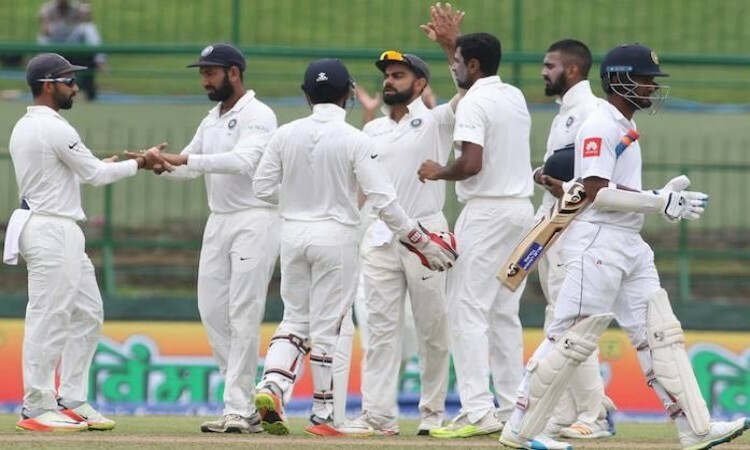 India, on the other hand, would be much more confident now after their convincing victory," added Illingworth who was the England captain in 1971 when India won their historic first Test in England. Despite India's persistent problem in slip catching and not having a settled slip cordon, Illingworth was all praise about the fielding of this team. "I am also very impressed with the fielding quality of this Indian team. Their slip catching has been outstanding in the Trent Bridge Test. Barring a couple of tough chances they almost grabbed everything that came their way. This is the best Indian fielding side I have ever seen," he said. The 86-year-old further opined that the current Indian bowling attack is faster than that of England. "Their attack was completely dependable on spinners. Now they have not one, not two, but four genuine quick bowlers, who all are faster than the England bowlers. This is a remarkable change for Indian cricket," he said.